We have remodeled and improved thousands of homes in the Chicago land area over the last several years. 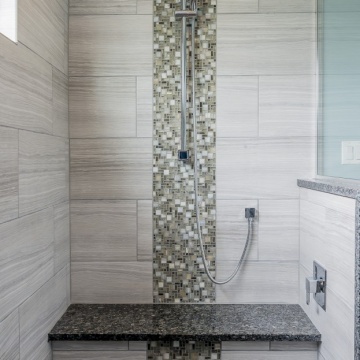 Customizing for the requirements, taste and style of our clients is one of our specialties and it shows in the diversity of custom remodeling projects we designed and built. 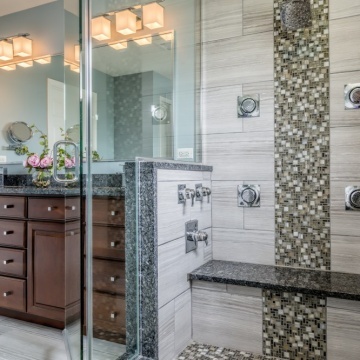 Our home remodeling services provide an unparalleled degree of excellence. We oversee and execute all aspects of the design as well as the construction of your project. This continuity of service will save you time and money. 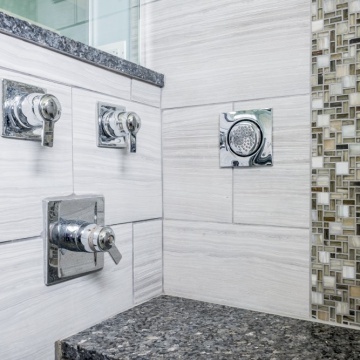 Rather than using the traditional approach to remodeling, Synergy Builders uses a stress-free process that turns any remodeling project into an enjoyable experience. 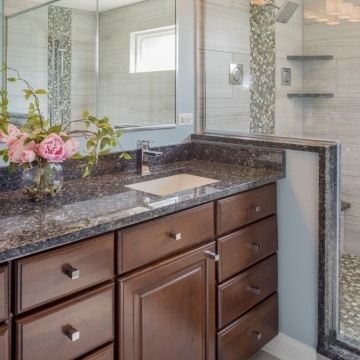 With many years of experience as a home remodeling company, our specialized and professional staff of designers, architects and project managers will make your home remodeling and improvement project a reality. 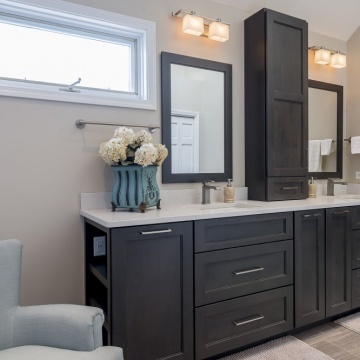 Synergy Builders specialize in home improvement and remodeling projects which include Room Additions, Kitchen Remodeling, Bathroom Remodeling and Basement Finishing. We welcome you to our website to learn more about us and our home improvement services. Synergy Builders did quality work, finished on time according to their schedule, and they are reasonably priced. Design team was good. The quality of the finish carpentry was not that great. I had to patch and cover some of existing walls where they installed doors and window openings. Also used cheap Masonite paneling for a wainscot in the living room area. I was expecting something a nicer. 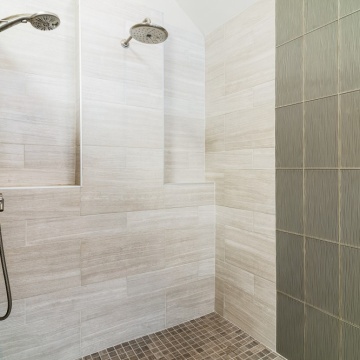 If you want a company that can take you from beginning to end in a manner that minimizes the stress level of a renovation, then Synergy is the company for you! Sarah Tay owns the home but the work was done for and paid by her parents Mary Jo and Jim Schulte. We are happy with the end results although I need to contact them for a couple of issues. When we decided to finish our basement, we decided to be very thorough in our evaluation process of contractors to do the job. We ended up meeting with 6 qualified contractors and John and Synergy were easily at the top of the list. The ideas and professionalism of all the folks we met at Synergy gave us great comfort that the job would be done beautifully and correctly. Our comfort was met with all expectations being met through the process and we love our new basement. We can't speak highly enough of our experience with Synergy Builders. We found them to be honest, fair and accessible. From the first day we walked in the door and met them, we found really good people, who do high quality work and were quick to communicate with us about everything along the way. They came up with a great plan for us, which was fine-tuned to our needs, and turned that plan into a beautiful space. We did not experience a single unpleasant day. All who worked with us were polite and kind and professional.There are really not enough "Thank You's" for the great job they did. But here's one more.,,"Thank You Synergy Builders". We are so happy with what you did for us in our home. We love it!!! They are really top notch. I have dealt with different companies and Synergy Builder really follow through on what you want. My husband and I found that the staff constantly communicated with us and kept us updated. 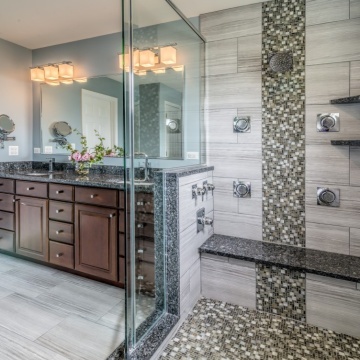 After looking at a number of different remodelers, when it came down to it Synergy Builders had the same vision that we did. They stayed within the budget that we agreed on and they stayed on schedule. It ran like clockwork. They were very personable. I would use them again in a heartbeat. This is our 4th project with Synergy. They continue to deliver a quality experience and result. 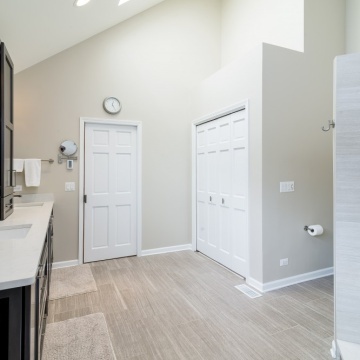 We get many compliments on our remodeled laundry room, which not only looks good, but functions to meet a variety of needs for our busy family. This is a top notch company that fully took care of all our needs. I won't hesitate to recommend them to friends and family. We love our new kitchen - it's rich look, openness and effective functionality. Working with Synergy was a great experience - they deliver excellent products and workmanship overall. 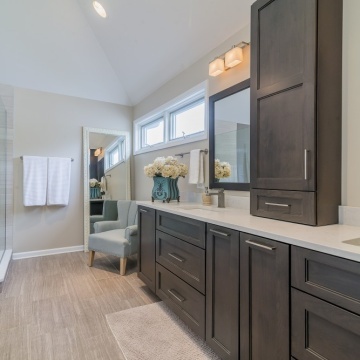 In many ways they delighted us with their suggestions and additional service touches, although there were a few problems with the flooring installation, and cabinet and other details, that were frustrating at the time. I would hire them again. We were VERY happy with all aspects of our work with Synergy to finish our basement. The entire experience far exceeded our expectations and we would recommend them to everyone and will use them again in the future if we do other projects in our home. Synergy has helped us twice now and I couldn't be happier with the people at Synergy or the quality of their work. I would use them again and recommend them to others . The office staff, designers, project manager, and workers were all first class. The subcontractors went the extra mile to provide first class work. The finishing details were nearly perfect. Being picky, I found some minor blemishes in final inspection. All were fixed immediately. These folks will give contractors a good name if they're not careful! Synergy Builders continue to go above and beyond to ensure the cusomers remodel is done to his/her satisfaction. It was wonderful working with Synergy Builders. Everyday I looked forward to what would be worked on that day. Everything I asked them to do they did, even the extra little things. And they were always very polite and wanted to do the job the right way. Even the last details were finished up in a timely manner. This is my 3rd project with them. I could not be happier with the work that Synergy did and I strongly recommend them to anyone looking to have work done in their home. John really listened to what I wanted and made it come together perfectly. From hanging the antique door on my storage room and making the new old knobs fit to making a doorway under the stairs for the cats to access their boxes. Basement looks great and have gotten many compliments on it, especially the vinyl flooring!! We were even allowed to do some work ourselves to remain on budget. We met with two other contractors before deciding on Synergy. One of the reasons we felt Synergy was excellent was their willingness to work with us in our budget. 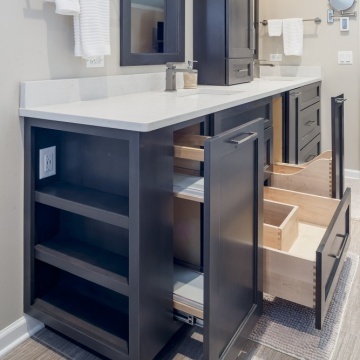 When looking at design options and then cabinet/counter options post design, they kept us in our budget range and openly let us know what would cause costs to go up and down. Nothing unexpected popped up in the entire process.During the project you choose your method of contact. We appreciated that we could mainly use text and email with our busy schedules. The Project Manager was always available to answer questions and meet on site if we wanted to review a piece of the project. I worked from home once a week and I always felt comfortable with the people working in our house, along with the days we weren't at home.The outcome of our kitchen renovation is beautiful. It is above and beyond what we imagined. I truly believe their entire team helped us get to this final point and we look forward to working with them again in the future. Overall a positive experience, on time and on budget. Strengths are definitely in design - after using the space for a couple of months, I could not be more pleased with how the design has transformed the feel of our home and made it so much more pleasant to live in. In terms of subs, electrical was top notch, cabinetry and trim were very good, drywall was excellent. Wood floors were well finished. Project was completed on time and on budget with no surprises - they do everything possible to make sure those don't happen and you know what you're getting into when you sign the paperwork. Downsides were really in project management and a couple of subs. Our project manager was not a proactive communicator and we didn't receive the promised weekly summary emails or a lot of heads ups when scheduled work was changing. Felt I had to really stay on top of him to make sure little details weren't getting missed and to know what was happening, especially in the last couple weeks. Other downside was the tile/carpet subs. Had to have the tile backsplash redone as it was really horribly done the first time and the contractors had an issue with not showing up on the scheduled days for several days in a row. Painters weren't that great and the quality of the paint job isn't fantastic. Raw wood was not sanded or primed prior to painting/staining so the results are rough. Previously finished surfaces were not sanded or primed so the paint is chipping off. I think they only one-coated the walls so I'm seeing chips there now as well. Wouldn't discourage me from recommending them, but these items kept my overall grade to a B+ instead of and A+. 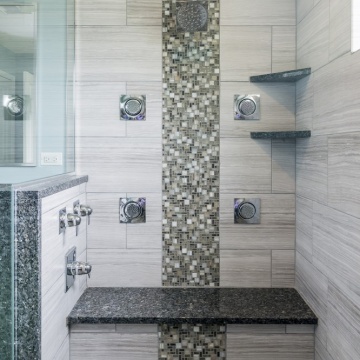 Would consider for our bathroom remodels in a couple years. 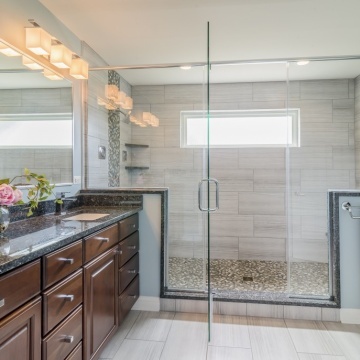 Synergy rebuilt my kitchen 2 years ago and I had no qualms about hiring them again for a bathroom remodel. Very professional company. They were responsive to my questions and easily accessible. I was informed of any changes in schedule. They were respectful of my home and privacy as much as possible. They follow through on things. They were able to deal with issues that came up with effectively. You always run into such issues when renovating an older house and they took care of those well. I have no complaints. We have used Synergy Builders for a number of projects throughout our house. We have been 100% satisfied with each project. I really have come to appreciate their attention to detail. All of our projects had specific timelines which were followed; communication at each step was thorough / timely.